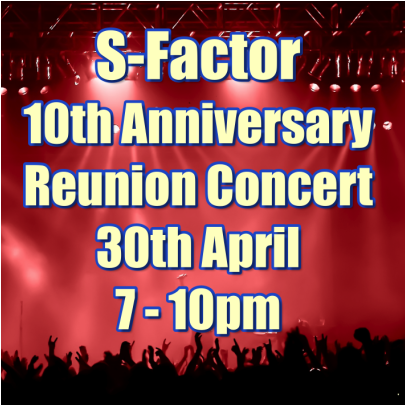 It will be a mix of present / ex-students performing & reminding us of the talents we have seen over the last decade. There will be refreshments on sale & we hope to have a raffle. 'S-Factor' is an amazing event & has been a fantastic way of showing off our young people's talents & achievements. so book early to avoid disappointment. Have you a child at school?